Melissa and I got to Beresford around 10 a.m., and while I felt like I had light years of time in 2018, I felt super duper rushed. We grabbed our bibs, and headed out for a warm up. I had hoped for 2-3 with some strides, but we only had time for two. I debated about what I should wear for most of the warm up, ultimately deciding on a tank top over a light long sleeve and that was definitely the right choice. It was probably pushing 40 at the start of the race and the glorious sun was beating down on us. I wore capris, but definitely wished I had shorts after about 7 minutes of running. The warm up felt ok, the strides felt great. We had time to grab a quick bathroom, and it was time to get on the bus. This morning is flying by! 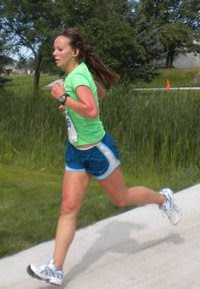 I had hoped that Melissa and I could work together; I knew she'd be faster than me, but I was hoping to chase her a bit. The plan was to start around 8:15 pace, and hopefully drop to 8 or sub 8 for miles 2-3. We were together for maybe the first half mile, right around that 8:15 pace. She left me and looked like she was out for a Sunday stroll, not like she was running that fast. I had hoped that starting conservative would lead to a faster finish, but my legs felt pretty heavy and blah from the gun. Instead of speeding up in mile 2 for a much beloved negative split, I looked down to see that I was running around an 8:33 pace. EEPS! I put my foot on the gas and started to push and was able to drop the pace down to what my first mile was, but man I was giving a lot of effort to get there. About the halfway point, I knew that there wasn't going to be a massive negative split happening, and I'd be lucky not to slow down considerably based on how I was feeling. I factored my finishing time to be around 33 minutes and was so bummed, as my original goal was sub 32. Gah. Luckily during this mile I gained on a small group that was ahead of me, so I wasn't running solo anymore. This helped me focus on something other than how sucky I felt. I finished the 4 miles (or 3.97) in 32:54 just sneaking in under 33 minutes for a pace of, you guessed it 8:18. My heart rate monitor went wonky about halfway through the race, so I don't have specific data on that, but I can tell that through 2.3 ish miles I was working my tail off, which was my ultimate goal if the pace goal wasn't there. Melissa and I continued for 2 more miles to cool down after the race. I had a flare up in my left rib with about a mile to go which killed during the cool down, but eventually loosened up and relaxed. Uff. After the race, I was super bummed. 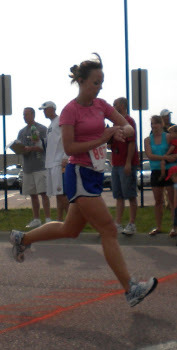 I really thought that I was in better shape than this race showed. As I sat with it throughout the weekend, I realized that where I am with my training this spring is different from last year. This year, I needed to mentally take a break after Dallas. I knew I had an intense cycle from February to mid May, followed by another marathon cycle starting in June. 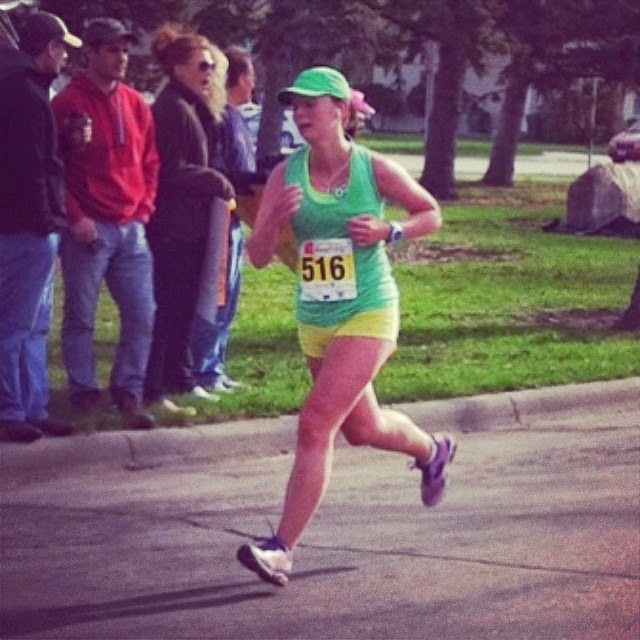 Last year, I trained for a fall 10 mile and a late January half marathon. I was a lot more focused on speed, and we had a gorgeous November-January to train. 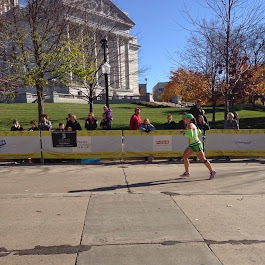 Last year I was in almost peak form in February, which is why I shocked the hell out of myself at this race last year. seriously. I think I ran 15 seconds/mile faster than my goal. That never happens! 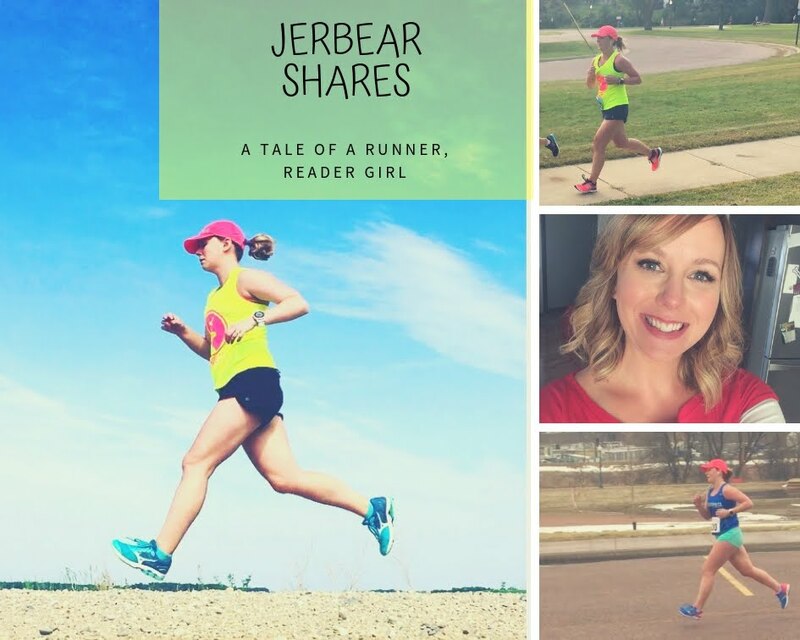 Unfortunately, because I was in such great shape so early in the season last year, my spring races suffered; I had an injury flare up in March and none of my spring half marathons really showcased the shape that I was in. I peaked way too early. Hopefully this race shows that I'm right where I need to be with my spring training kicking off. 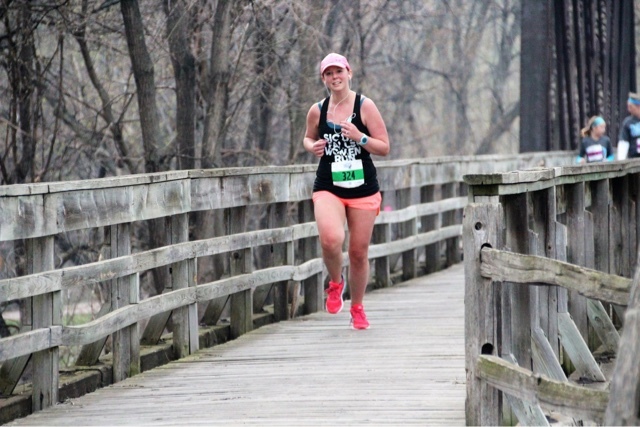 I'd much rather sacrifice a 4 mile PR for a half marathon PR, or top 3 race time! And it was a super fun day. There were so many of my running buddies there. Lots of 605 Running Co. friends, SFWR friends, some of the athletes I coach. And my running besties both got PRs. So it was fun and I'm glad I did it!